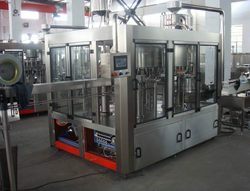 We are a leading Manufacturer of mineral water bottling plant, mineral water plant, 3 in1 automatic plastic bottle mineral water bottling plant, drinking water bottling plant mineral water filling plant, full automatic 3-in-1 mineral water plant and fully automatic mineral water production plant from Ambala, India. 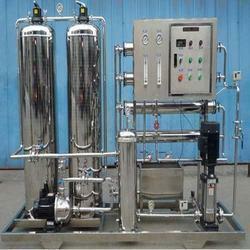 We have complete allegiance in offering modern day Mineral Water Plant. 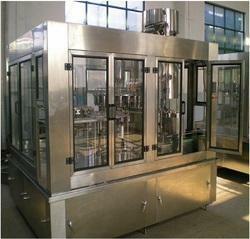 The bottling line is designed for efficient performance in filling, sealing and labeling pet bottles that are used for mineral water. 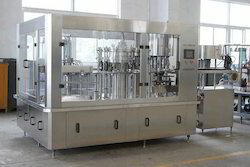 The filling system is widely accepted in the industry for its assured no spillage performance, further, the magnetic capping heads ensure reliable sealing of the bottles. Besides, our esteemed patrons can avail the plants from us at a leading price. We have complete allegiance in offering modern day Mineral Water Plant. The bottling line is designed for efficient performance in filling, sealing and labeling pet bottles that are used for mineral water. The filling system is widely accepted in the industry for its assured no spillage performance, further, the magnetic capping heads ensure reliable sealing of the bottles. We have complete allegiance in offering modern day Mineral Water Plant. The bottling line is designed for efficient performance in filling, sealing and labeling glass bottles that are used for mineral water. The filling system is widely accepted in the industry for its assured no spillage performance, further, the magnetic capping heads ensure reliable sealing of the bottles. Besides, our esteemed patrons can avail the plants from us at a leading price. Mechanical systems has incorporated several world–class renowned equipment / instruments that are time tested. Almost care is taken for selection of proper material of construction for each component in “mechanical systems”. This is so because we believe that appropriate selection of material is vital in such a sophisticated system. Shakti, india, are for their high capacity multi stage, vertical, centrifugal pumps, which are dedicated to handle one fluid i. E. , water. Italy is for their accurate dosing pumps. Osmosis “purtrex”, “hytrex” usa, harmsco usa nsf certified filter cartridge- m/s ion exchange india ltd for their ion exchange resin, m/s filter is for their wide range of multi port valve. Torray, usa, all these membranes are made up of world class state of art technologies. We preferred it for its reliability and consistent performance. Low operating pressure reduces power cost. Low operation and maintenance cost compared to other conventional systems supplied by others. Resistant to bacteria / biological attack. Excellent product water quality having tds less than 100.